I’m quite fond of the Meraki dashboard. I’ve seen firsthand how it can enable lean and low-skilled IT departments to manage more of their own networks themselves. The dashboard GUI makes it easy to find status and troubleshoot at a basic level, but it’s still important to actually understand what is going on under the hood. Pretty straightforward. Ping the client, client responds, client is online and working, right? Wait… Ping is based on ARP? What happened to ICMP? Notice this is a directed-ARP; the Meraki AP (MAC 13:da:90) is sending an ARP request to the MBP (MAC 91:75:d8) rather than sending a broadcast. That is, the Meraki AP already knows the MBPs MAC address. But the ARP response tells the Meraki AP that the MBP is alive, and online – just like an ICMP Ping. This brings about an interesting question. We network engineers often use Ping as a way to confirm that the network is working. A successful Ping means that routing, IP addressing and the physical path are all functioning correctly at layer 3. But if we’re doing a Ping at layer 2 with ARP – would we be wrongly assuming all is well when we get a response, just like with ICMP? Almost identical, except that both the ARP request and response are from 10.11.3.1, when the subnet is actually 10.11.30.0/24. However, the client is still responding, albeit at layer 2, and that’s good enough for the Meraki AP. Now, I do think this is one of those things where the vendor has made an odd decision to label this as a Ping without being clear about what is actually being done, but it is after all our responsibility as the network engineer to know what we’re looking at. There are similar examples where traceroute can use UDP or ICMP, depending on the OS, and now you know that sometimes Ping is ARP instead of ICMP. What makes this a REALLY bad thing is that 16.197.160.254 is the ASA’s default gateway. No internet access for you. Unfortunately, I have little (no) visibility into the provider settings, but I can hazard a guess that there is some sort of spoofing protection in place. Sometimes a reboot of the ISP modem will fix the problem, but often times we have to call the ISP and, while trying to explain ARP to tier 1 support should NOT be too difficult, it is typically an exercise in frustration. Not surprising, often we are asked to plug a laptop directly into the modem with the ASA’s static IP programmed on its NIC, which works, and causes the ISP to cheer “NOT OUR PROBLEM!” Of course, if I plug a laptop directly into the Provider1 interface on the ASA, it gets an ARP reply right away and communication to the “gateway” also works just fine. Ultimately, I have not been able to find an easy, repeatable fix from the side I have control over (the ASA), but sometimes the ISP clears an ARP table to solve the problem. Something similar occurs from time to time with this ISP with NAT/PAT IP addresses that are NOT the ASA’s interface address. In this case, we can PCAP traffic leaving the ASA with the appropriate IP and MAC towards the ISP, but the ISP will never forward the return traffic to the ASA – the gateway doesn’t create an ARP entry for that IP. In this case, an easy fix is to temporarily change the ASA interface IP to match the NAT IP. This causes the ASA to generate a gratuitous ARP and suddenly the return traffic gets delivered. This is certainly different from the first case, where no amount of restarting or GARP seems to convince the ISP gateway to reply to the ASA ARP request for the gateway’s MAC, but I suspect the cause may be related. I’m currently waiting for the ISP to determine if an engineer who actually knows how to log into the gateway router and look at an ARP table does indeed exist, or whether I’m more likely to watch a unicorn run a red light on my commute home. In the meantime, if anyone can explain what this ISP is doing to cause this behaviour, I’d love to hear it. Today, Wednesday, November 30th there will be a one-day independent survey to gather information on the current state of compensation in the Wireless LAN community. We respectfully request your participation in this 90-second survey. The current results will be available to all survey takers as they complete the survey for instant feedback. Later, the complete results will freely reported back the entire community. I woke to some exciting news last week. An email from CWNP informing me that my CWNE application had been approved and that I am now CWNE #190! This is a huge honor, and I am humbled to be part of the CWNE community. While I like to think that I have picked up some skills over the past decade, I owe a great deal of thanks to people whom I have met over the past year who have mentored and encouraged me to engage in the Wi-Fi community. Thanks to Keith Parsons, Blake Krone, David Westcott, Peter Mackenzie, Martin Ericson for sharing your insights and invaluable knowledge! I had a session booked at 8am. Breakfast started at 7 and with a 30 minute walk to the conference centre, I needed to get up at 6. So much for getting some rest while my kids weren’t waking me up! BRKEWN-2000 “Design and Deployment of Wireless LANs for real time applications” with Jerome Henry! This is where I would finally meet the illustrious Rowell Dionicio of Packet 6 and the Clear to Send podcast; and my Canadian brother from another country, Meru Mitch! (that’s right, I know THE Meru Mitch!). 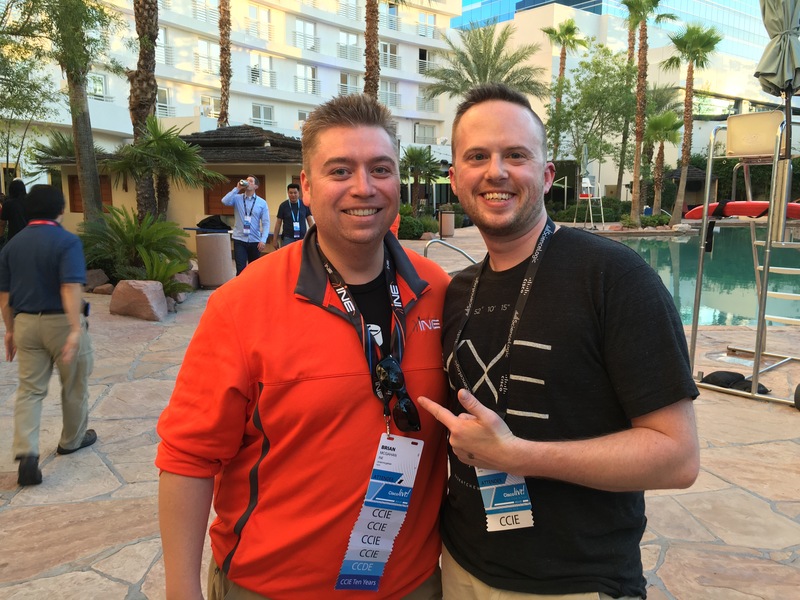 Check out Mitch’s recap of CLUS 2016 as well. People use only one real time application at a time. You have a FaceTime chat, then hang up and go onto something else. It’s pretty impractical to FaceTime and have a VoIP call at the same time. It’s safe to assume that one real time app will be the only bandwidth need while in use. How to do the math. Some good examples of how to actually calculate the bandwidth need in a cell. What is my client device’s max EIRP. Some more great examples. This info isn’t often published by the manufacturers. An iPhone 6s for example, has a worst max EIRP in the 5 GHz band of 10.3 dBm. Think about this one. This goes towards the concept of matching transmit power. These four points are covered in the first 30 pages out of 191; so I highly recommend you grab the PDF and have a read through. Lots of excellent concepts explained by Jerome. Next was off to the opening keynote with the honorary hosers, Hub Holster Robb and Meru Mitch. 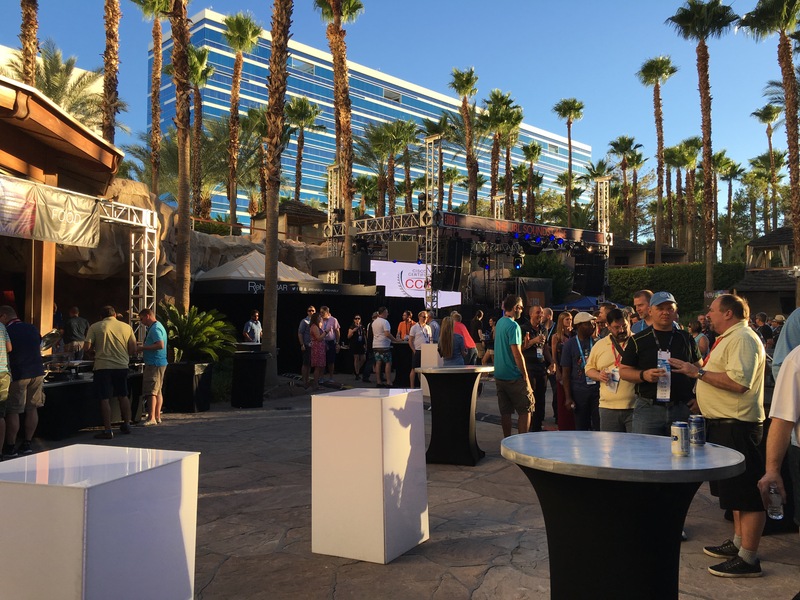 Lasers, dancers, and Your Time is Now – the theme for CLUS. 28,000 attendees, and don’t forget about Cisco DNA! With a little time after the keynote before the next session, we couldn’t resist heading to the World of Solutions (WoS). We caught up with Matt, and I had a specific stop in mind. We quickly located the giant sign in the distance pointing the direction to the Cisco certification lounge, and made our way over. I admit I couldn’t resist leaving my compadres at the general entrance when I saw the dedicated CCIE entrance! Being my first CLUS, I couldn’t resist trying out the perks. Note for next year: the CCIE entrance is like the side door. We ended up at the exact same place, ha! Oh well, I got my fancy CCIE ribbon for my badge, but my fingers were crossed for something else… YES. They were in the back of the lounge! I got my first CLUS tramp stamp. Now I was really on my way to being a CLUS veteran! Thanks to Robb, Mitch and Steve for putting up with me and generally encouraging the nerdery. Moving on. We hung around WoS a little longer and started accumulating various vendor swag. Little did I know just how much swag we would end up with. Soon it was off to another session. Having recently completed the CWNP CWAP course, much of this was very familiar to me so thankfully it wasn’t hard to follow. QoS is always a complex topic. Do not use the Wired QoS Protocol field. This caught my attention because it was a departure from Cisco’s earlier best practices which I was familiar with. Admittedly, it had been a few years since I had really reviewed this topic (see my post When a 6 means 5 – Cisco WLAN QoS), so this stood out for me. A lot of work on QoS has been done in WLC code recently. Time for me to start reading. Introducing Fastlane. The fruits of the Apple/Cisco partnership are ripening. Big benefits to roaming and QoS for Apple devices, often with no admin intervention or config required. EasyQoS. This should be a BIG deal. See @Cantechit’s post here for an excellent overview. 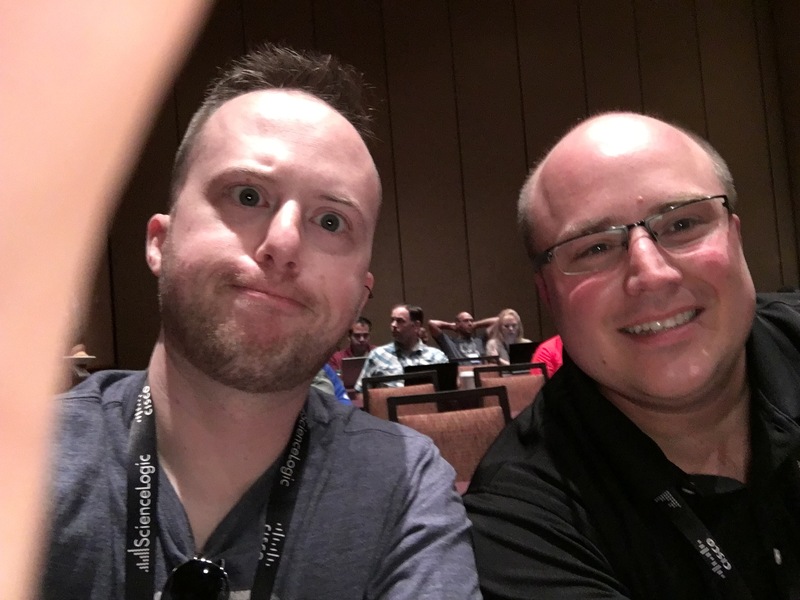 BRKEWN-2019 – “7 Ways to fail as a Wireless Expert” with Steven Heinsius (contender for best Twitter profile pic, btw). This was a fun session, and there were many great takeaways. Fun = engaging, and it did a great job of reinforcing some concepts we all know well, in a way that might help us explain it to our clients and users. Channels 1,6 and 11 folks. Get moving to 5 GHz. Cisco says use RRM. But Cisco also tells us to tune RRM. Max power should be limited to 17 dBm and min to 5 dBm. Go take a look at Wigle.net. You can learn a lot from this site. No more TKIP/WPA1 or WEP. Even WPA2-Passphrase is not appropriate for the enterprise. No, 802.11ac is not going to give you better that 1 Gbps throughput. See Andrew von Nagy’s webinar here. Look for the “Best Practices” slides in Steven’s Presentation. Good rules of thumb to keep handy. This was a great way to end day #1. Next was back to WoS for more swag! There were so many vendors to see, and even better, the food and beer was everywhere we looked. We paused at a table at one point and were joined by a very friendly and unassuming woman looking for a spot to put down her plate. At luck would have it, we met Cisco’s social media manager Laura Babbili! Robb and I met back up with Rowell at a lounge in the Cosmo hotel, where I had the pleasure of meeting Ryan Adzima and Richard Macintosh, two Wi-Fi wranglers who are also well known in the community. I admit I was pumped when Richard saw my twitter handle and pointed out that he had read some of my posts. It was cool to know that, even if I am embarrassing myself online, I am getting a little bit of attention in the community I am hoping to be a part of. I’m aiming to recap the rest of the week soon! Stay tuned.